Coalitions of developing countries at the WTO typically have a short life and do not produce results. Nonetheless, a specific coalition of developing countries named the G-20 seems to have a different destiny. Even though it focuses on agriculture, which is certainly the most difficult sector in which one can obtain concessions from developed countries, the G-20 has been able not only to survive but also to solidify its influence. This paper examines the consequences of G-20 actions. Moreover, it considers three separate questions. 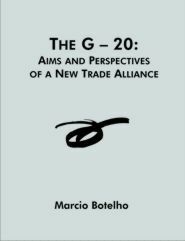 First, how has the G-20 been able to maintain its unity despite huge internal differences and external pressures? Second, which strategies has the coalition been using to strengthen its influence? Third, whither the G-20? The paper answers these questions and envisages the main possibilities for the alliance's future. John Augustine Ryan (1869–1945) was a leading Catholic priest who was a noted moral theologian, professor, author and advocate of social justice. While Ryan identified himself primarily as a moral theologian, he also made important contributions to American political life and economic thought. He supported a number of social reforms that were eventually incorporated into the New Deal, and have become elemental to the modern welfare state. Ryan’s most well-known contribution to American economic thought was his argument for a minimum wage presented in his doctoral dissertation, A Living Wage.